Did you happen to catch the video for Duran Duran’s new single “Girl Panic!” which premiered earlier this week at Harper Bazaar UK’s Women of the Year Awards? Given that the band has long been synonymous with fabulous style, it naturally stars a quintet of original supermodels—Cindy, Naomi, Helena, Eva and Yasmin (a.k.a. The Missus)—who also grace the cover of the magazine’s Duran Duran-themed December issue. Like many tween girls in the ’80s, I was a huge Duran Duran fan. The band boasted model good looks (hello John Taylor!) 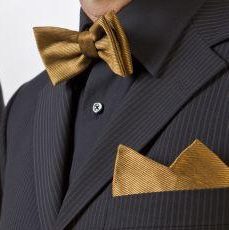 and perfected their visual presentation, whether it was ruffled shirts, cropped blazers or elegant suits. The “prettiest boys in rock” and MTV quickly became a match made in hair-gelled and lip-glossed heaven. 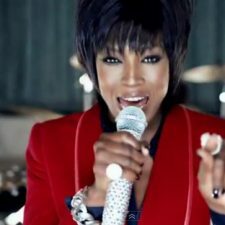 The videos for songs like “Hungry Like the Wolf” and “Rio” showcased the Fab Five’s New Wave/New Romantic/synthpop sound and easy-on-the-eyes-ness, as well as unusually high production values and movie-like story lines. 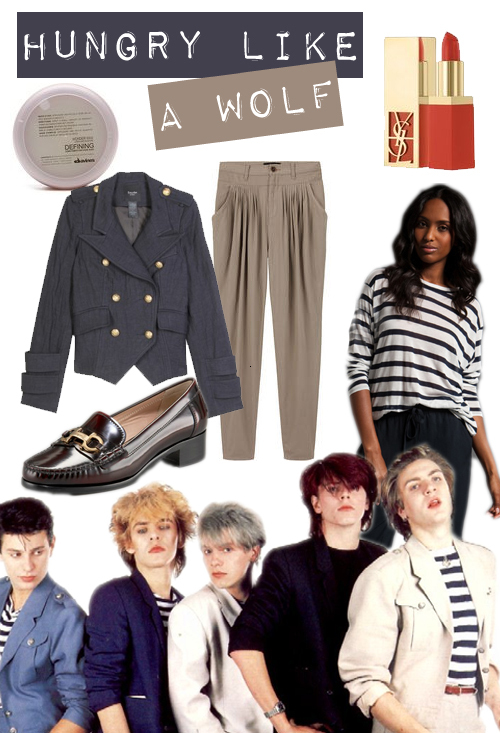 Try rocking their version of the classic French sailor shirt and military-inspired jacket by wearing this shirt by Enza Costa, a Spring Cadet Jacket by Smythe, and a Zucca / Slouchy Pleated Pant. You’ll look graceful and glamorous—without an ounce of panic. Jennifer Oh is currently obsessed with anything by Opening Ceremony, Pinkberry original-flavored froyo, and "Episodes" on Showtime.